The experience of staying at The Treehouse Point is a curious mix of luxury and roughing it. As for roughing it, what stands out most are the bathrooms. Facilities are shared and are a walk from each treehouse — a walk through terrain that’s relative wild. The property’s scenic river and canopy of trees are indeed beautiful. They are also damp, cold and bug-filled. Somewhere between luxury and roughing it is The Treehouse Point’s included breakfast. It isn’t exactly gourmet. But the granola, yogurt, fruit, eggs and home-made pastries are tasty and come with plenty o’ tea and coffee. The downside of the Treehouse Point? Being located in Issaquah, Washington, it is very close to the I90 highway. The traffic noise is audible in portions of the grounds. 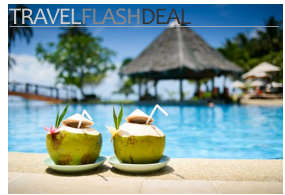 Also, at $200+ per night, a stay here isn’t inexpensive. 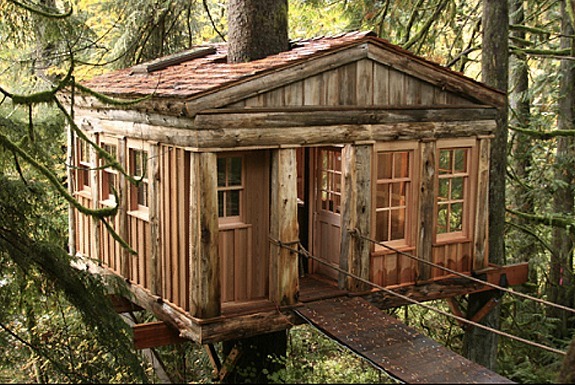 But considering the creative accommodations and gorgeous setting, we think Treehouse Point is totally worth the price. • Trillium (pic to right) – A spiral staircase leads up to this stunning two-story arboreal retreat. The walls of this treehouse are more window than wood, giving Trillium arguably the best views anywhere in Treehouse Point. 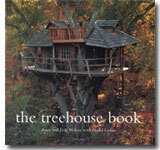 • Temple of the Blue Moon (top pic) – A tree shoots straight through the middle of this treehouse. You get to your room by walking across a suspension bridge. What more do you need to know? 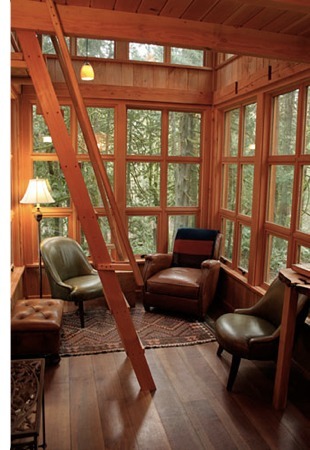 • Upper Pond – A ladder leads up on a private deck and your treehouse accommodations beyond. The two built-in bunk beds (ie. four single mattresses) make the Upper Pond more for groups of friends than for romantic couples. • Nest – This is the smallest of the treehouse offerings, the closest to the highway (you can hear the traffic) and the furthest from the bathroom. All that combines to make it our least favorite. That said, the large picture window and quaint balcony make even this, the bottom wrung of the accommodations at Treehouse Point, still pretty darn cool. How cool is this? How i would love to stay there. This is a prime example of some very unusual but very exciting places to stay in the world, amazing! This looks absolutely amazing – what an unusual take on the B&B!! !